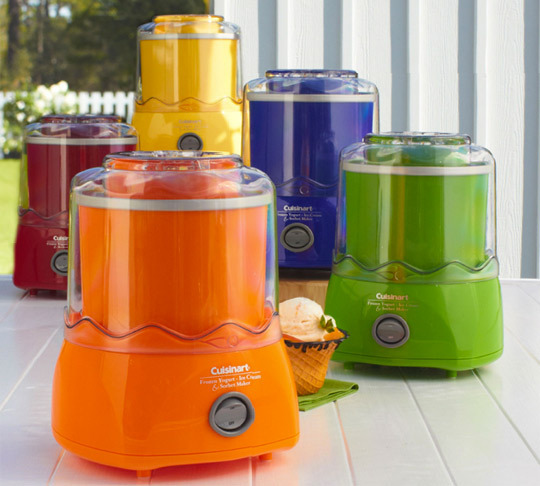 Cuisinart Ice Cream maker range in Cool Colours. Previously, you can get them in white and red only. I'm so tempted to buy these, instead of the KitchenAid Ice cream Maker Attachment. Even though I've got a KitchenAid Mixer. Oh my oh my...how do you resist? where do i buy the cuisinart ice cream maker? do you know? Yes, try Peters of Kensington, they have the lowest price the last I checked, you can also try Kitchenware Direct.com.au (but their price isn't as low as Peters) or pretty much any kitchenware stores like House. Try ringing them up first, if you have a particular colour in mind.